Overtraining is a serious medical problem, and one that can be successfully remedied by institution of multiple treatment modalities here at the Institute in our 2 week Program to Recovery. The full spectrum of overtraining can result in hormonal, nutritional, emotional, muscular, neurologic, and others imbalances. These in turn can cause any and all of the symptoms above plus injuries and poor athletic performance. Prevention and correction of the overtraining syndrome begins with a comprehensive medical assessment, something that should be an ongoing process for every athlete. Stage 1: Also called functional overtraining. The onset and earliest stage where very subtle signs and symptoms can indicate you are starting overtraining. Stage 2: Also called sympathetic overtraining. A more obvious stage associated with specific nervous, hormonal and mechanical imbalances causing a variety of signs and symptoms. Stage 3: Also called parasympathetic overtraining. A serious end-stage of overtraining associated with the exhaustion of neurological and hormonal factors, typically with serious physical, hormonal and psychological injuries. The overtraining syndrome leads to poor athletic performance, structural injury secondary to muscle imbalance, and metabolic problems leading to fatigue, infection, bone loss, sexual dysfunction, HPA axis disorders, altered mood states and other individualized problems. These signs and symptoms not only affect training and competition, but all aspects of a person’s everyday life and quality of life. While we think of overtraining as being sports related, other lifestyle factors may contribute to overtraining, such as increased work, family or job stress, social obligations, alcohol consumption, and poor sleep habits. The first stage of overtraining is not usually accompanied by debilitating symptoms but by very subtle or subclinical ones. This may include a seemingly minor plateau or slight regression in training performance. Interestingly, this stage is sometimes accompanied by a sudden or dramatic improvement in competitive performance that may convince the athlete that training is progressing well. This temporary improvement may be due in part to an abnormal overactive sympathetic nervous system. A common problem in Stage 1 overtraining is a developing imbalance between the aerobic and anaerobic systems. Stage 1 overtraining may be synonymous with overreaching, which has been shown in studies to boost performance but often turns into more obvious overtraining. It is a fine line between optimization and the beginning of athletic decline. Adrenal gland dysfunction is very common in overtraining and usually begins in Stage 1. In addition, it typically parallels the start of aerobic deficiency. As this stage progresses, athletes may begin to develop fatigue, sleep irregularities, orthostatic hypotension, and abnormal hunger or cravings for sweets. They may be unable to lose that extra body fat, get sleepy after meals, and have cravings for caffeine. Hormone imbalance includes elevations of cortisol with secondary lowering of testosterone and DHEA levels. Premenstrual syndrome and menopausal symptoms may be secondary complaints for women, but amenorrhea is a common problem. Sexual dysfunction, decrease libido, and infertility. Mental and emotional stress, including mild or clinical depression and anxiety is common. When overtraining is not discovered and corrected, all these signs and symptoms merge into the second stage of the syndrome. As overtraining progresses, the imbalances described above worsen. Specifically, the sympathetic part of the nervous system becomes dominant and overactive. This results in the classic sign of an increased resting heart rate. Often associated with this is restlessness and over-excitability. Hormone dysfunction also progresses during sympathetic overtraining. Early detection and treatment of adrenal dysfunction is vital to the prevention of overtraining. Specific adrenal problems include various hormonal imbalances, most commonly cortisol, which rises to abnormal levels. The keen awareness and fine hand-to-eye coordination required in some sports are adversely affected by these hormone problems. High cortisol levels have a catabolic effect on the body. Exhaustion becomes more problematic and sleep less recuperative. High cortisol can also increase insulin levels, two of the three hormones not desirable to have elevated in the body. Aerobic training usually suppresses insulin production during exercise, whereas studies show that maximal training intensities can increase the insulin response. This further raises the sympathetic nervous system activity and adds to the overtraining condition. In addition, elevated cortisol lowers testosterone and DHEA, both important for muscle recovery. While in many ways the functions of testosterone and adrenaline don’t overlap significantly, research published in 1983 in the scientific journal “Experimental Clinical Endocrinology” suggests that high levels of adrenaline in the body can negatively impact testosterone levels in men. The mechanism is through reducing levels of LH, which subsequently reduces levels of testosterone. While short-term exposures to adrenaline are unlikely to cause effects, long-term stress and routine adrenaline exposure may downregulate testosterone production. Fortunately, hormone imbalances and other problems are relatively easily remedied through nutrition, strategic supplementation and lifestyle changes, including one’s training. If serious and depending on age related factors and genetics hormone replacement may be necessary. If these corrections are not made, the athletes can enter the third stage of overtraining. Chronic overtraining can lead to more serious hormonal, neurological and mechanical imbalances, worsening aerobic function, athletic performance and other factors that impact overall health. Eventually, the sympathetic nervous system becomes exhausted, and most if not all hormone levels; estrogen, progesterone, testosterone, DHEA, and T3 are significantly reduced, including cortisol. Stage 3 is typically accompanied by the lack of desire to train, depression or anxiety, significant injury, fatigue, low blood pressure, neurologic, endocrine and immune compromise, and most notably exhaustion unrelieved by rest. Performance and training are not possible in this stage. This condition is associated with abnormally low resting heart rates and low heart-rate recovery from interval training or competition if even possible. The hormonal problems may result in increased sodium loss due to reduced aldosterone and may increase the athlete’s vulnerability to hyponatremia, a serious condition of low sodium and hypotension. In order to remedy a problem, it must first be properly diagnosed and an appropriate recovery plan instituted. 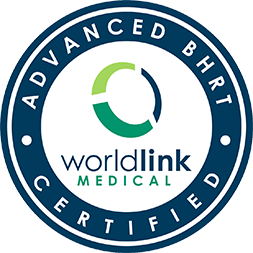 This includes comprehensive laboratory testing, hormone testing, intracellular nutrient testing, gluten sensitivity and reactivity testing, endothelial vascular testing and more. Other important assessment tools are a comprehensive medical history and lifestyle questionnaire, nutritional questionnaire, profile of mood states questionnaire, growth hormone deficiency questionnaire that are accurately reviewed by a health care professional. All questionnaires must be answered completely and honestly to achieve rapid and effective resolution of symptoms. Correcting overtraining begins by immediately restructuring the training schedule, modifying lifestyle factors including diet and nutrition, strategically optimizing supplementation and hormones, and addressing all levels of stress with structured biofeedback therapy. Decrease training time by 50 to 80 percent, or more if necessary. Immediately cease all anaerobic training and competition. A helpful remedy for an over trained athlete is walking, which can gently stimulate circulation and aerobic muscle fiber activity, and offers mental benefits much like those of meditation. Walking also helps redevelop the aerobic system, the first phase of retraining. Retraining, that is, building the aerobic base, should last three to six months and does not include any anaerobic training or competition. Eliminate all high-glycemic foods, especially sugar and other refined flour. Moderating carbohydrate intake overall can also be helpful as high carbohydrate diets may further elevate cortisol levels. After Gutenin/Gliadin investigation, removal of gluten and cross reactive foods. Consume smaller, more frequent meals to help control blood sugar and cortisol, especially for those with symptoms of anxiety, depression, fatigue, hunger and poor sleep. Adequate caloric intake is very important, never develop hypoglycemia. Include moderate amounts of protein and healthful fats like coconut oil. Overtraining may disrupt the normal balance of fats in the body, which help control inflammation, one reason why inflammatory-related injuries are common. Eliminate the intake of omega-6 vegetable oils (soy, peanut, safflower, canola, corn), which can promote inflammation. EPA/DHA supplements can help reduce inflammation. Caffeine consumption is contraindicated for over trained athletes. Avoid stimulants such as coffee, tea, soda, and chocolate (beware of caffeine-containing, over-the-counter and prescription drugs). Zinc may help control the abnormally high levels of cortisol and estrogen, but timing is important when supplementing with zinc. 24-hour cortisol should be measured to determine abnormal peak levels; then the zinc supplementation should be taken two to three hours prior to cortisol peaks. Biofeedback Training to retrain the autonomic nervous system. Hormone optimization to hasten recovery and reduce symptomology. When committed, athletes can often recover rapidly from the overtraining syndrome. In the first stage, modifying the training schedule, and making appropriate nutritional and dietary adjustments often provide improvements of symptoms and even begin training within two weeks. Athletes in the first and second stages of overtraining also respond quickly to proper recovery. Most important is obtaining at least seven to eight hours of uninterrupted sleep each night. Those with upcoming competitions may be required to cancel those events to allow for a more complete recovery from overtraining. Building an acceptable aerobic base will take at least three to six months. Athletes who are chronically over trained generally respond much slower. They may need to cancel their next competitive season and spend time building the aerobic system, reducing stress, strategically supplementing, and improving their nutrition. These athletes will require six months or more, and sometimes a year or two, before resuming effective competition. Overtraining is a serious medical problem, and one that can be successfully remedied by institution of multiple treatment modalities here at the Institute in our 2 week Program to Recovery. Call 937-350-5527 today to start your path to recovery and peak performance.